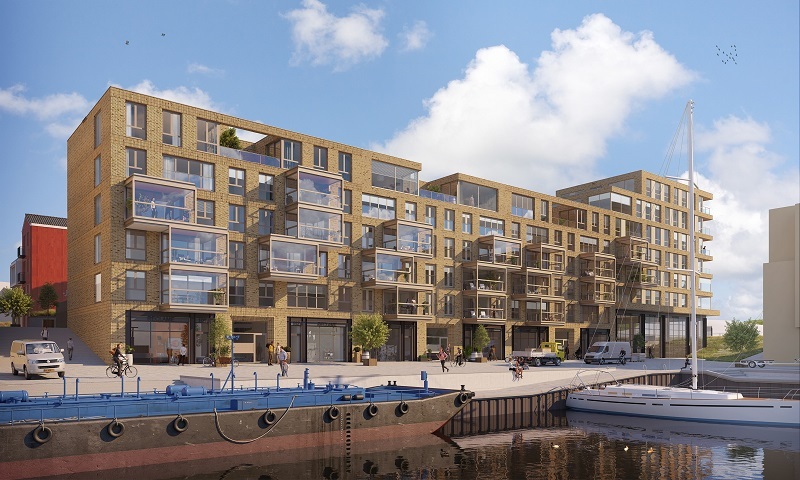 Right behind the dunes of the quiet Zuiderstrand and close to the lively quays and restaurants around the harbor of Scheveningen is where De Zuid is going to arise. This unique new neighborhood around the Derde Haven is being constructed in phases. After the successful launch of the first partial plan ZuidDuin, the preparations for ZuidHaven, the second phase, are fully underway. Though the departure of Norfolk meant an end to all freight activities from Scheveningen Harbor, it has not lost its rough-and-tumble character and vibrancy. For it is still home to professional fishermen, the Coast Guard and the fish market in the Eerste Haven, and the yacht harbor and various restaurants and cafés in the Tweede Haven. Inhabitants will be able to enter the Westduinpark straight from their apartment or home. This lovely park is located right next to the quiet Zuiderstrand and creates a splendid contrast with the hustle and bustle of the quay’s fish market and the liveliness of the yacht harbor. ZuidHaven on De Zuid offers the best of two worlds and will simply be the place to live, work and enjoy recreational activities. Sale of the apartments and family homes will start soon. If you are interested, register for the newsletter via the site www.dezuid.nl and be kept up-to-date on the start of the process.